The mindset of children, aged about 0-14, requires intricate nurturing and support in order for them to flourish into well-rounded individuals, complete with a certain social behavior and knowledge to match current day progress. Research data shows that in some cases parents are unable to spend a good amount of quality time tutoring their young ones because of heavy schedules and the rate of one-on-ones in schools between most teachers and students appear to be diminishing owing to larger classroom sizes. Sometimes, even though appropriate time seems to be expended, a more comprehensive and mutual interaction may be required for growth. Cynthia Breazeal and her team at MIT’s Personal Robots Group, designed a socially active bot, Tega, that was formed with an idea to assist and engage with kids, outside of an educational institution, with the purpose of encouraging and accompanying them in activities, thus emphasizing the importance of meaningful interactions triggering a child’s brain affirmatively. Although a concept previously prototyped in the form of stretchy robots, Dragonbot and Tofu, Tega is unique in its ability to sense emotion in its user and expressively display the same hence personalizing and performing strategically. Technology-wise, it has a system with 5 degrees of freedom i.e. the up & down and tilt of waist, body and head, which allows for its movement, a battery that lasts for up to 6 hours, an Android-based smartphone as a display, speakers and HD camera. 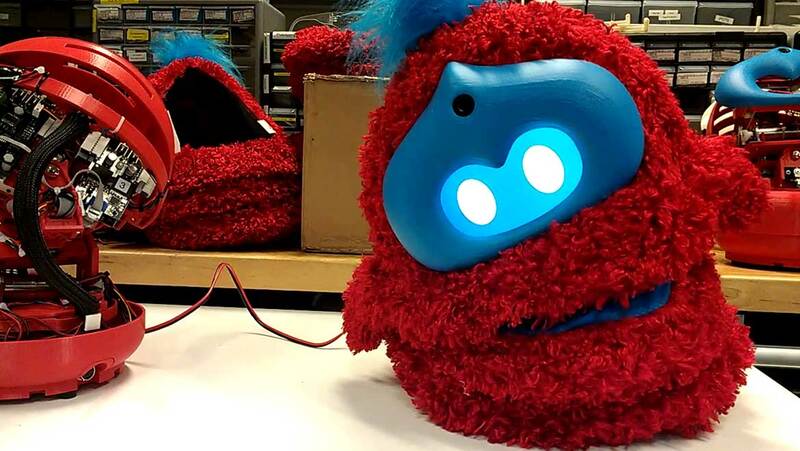 The makers also decided to construct it as a bright, squishy, teddy bear-like robot, about a foot in height, to make it physically appealing and endearing to kids. We’re all in for cute, keepsake companions, aren't we? One that is gainful and serviceable too! On the same note, it is understood that Tega has been programmed to assist in various areas of development such as vocabulary, language, mathematics and so on, and case studies show how this robot-human intercommunication has positively impacted the learning, reasoning and critical thinking of youngsters at an early age. Complementarily, it has the capacity to execute computational tasks such as decision making, data analysis and collection and system processing. The MIT scientists tested this peer-robot in a pilot study with subjects aged 3-5 years, where each of them were given 15 minutes per day for 8 weeks to work with Tega. Results showed that the kids had improved vocabulary in the Spanish language from a game. What did the robot do? It mimicked every individual’s emotions such as excitement, boredom, concentration levels, etc, and also, motivated, helped and hinted during the activity/learning process. As the days progressed, Tega not only discerned moods but also customized its approach to better the nature of the preschoolers’ achievement. National Science Foundation (NSF) is funding this project with $10 million for 5 years, in aid of future research and development as its applications for implementation in orphanages, preschools, kindergarten and primary schools and in children’s therapy looked promising.